The lovely towns of Rockport and Camden are two miles apart, and there is some pleasant running between them. We recommend a 5-mile loop including Bayview Ave. in one direction, and Chestnut street in the other. These streets are not overly trafficked, and feature some classic New England homes. From Bayview, there are occasional peeks at the water. Chestnut is a bit grander, and has a sidewalk along certain sections. From the Rockport Opera House, take Russel Ave., and then turn RIGHT on Bayview, which will lead into Camden. 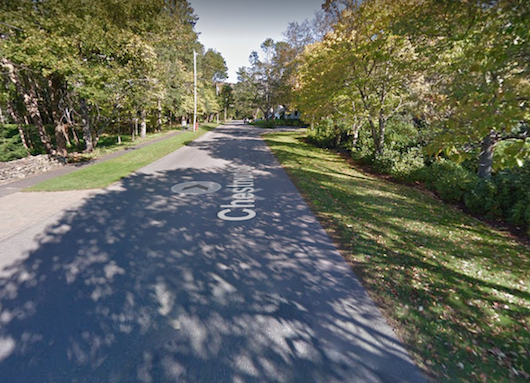 For the return, take Chestnut St. south, which leads back to Russel. For variety, take Union St. as an alternative to Chestnut for 1/2 mile. Add-Ons: See our routes in Rockport and Camden, which are both easy add-ons to this loop. Rockport: Opera House; Camden: Elm St. & Bayview St.